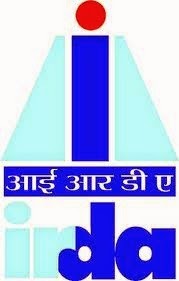 The insurance watchdog Insurance Regulatory and Development Authority (IRDA) has asked Insurance Marketing Firms (IMFs) to submit their views on draft guidelines by April 15, 2014. The draft issued recently by the regulator, advocates setting up new distribution system allowing IMFs to market and service insurance, apart from marketing other financial products. These include products of mutual fund companies; pension products of PFRDA; and other financial products marketed by Investment advisors of Securities and Exchange Board of India through the financial service executives (FSE) engaged by an IMF. The regulator had been considering over allowing distribution companies to have multiple tie-ups with insurers- a model akin to independent financial advisor, based on the recommendations of the Govardhan Committee on distribution. In this connection, meetings were held with representatives of life and non-life insurance companies and with a cross-section of marketing personnel in life and general insurance industry at Hyderabad. A working group was constituted having five CEOs each from life and non-life insurance companies to study the concept and recommend a suitable model. Here, insurance sales person (ISP) will be an individual employed by IMF to undertake solicitation or marketing of insurance products who is granted a certificate issued by the authority. Further, FSE would be an individual employed by an IMF authorised to undertake financial service activities such as investment advice through an investment advisor who is granted licence by Sebi, mutual fund salespersons holding a certification under Association of Mutual Funds in India (AMFI) and registered with an association of asset management companies of mutual funds.